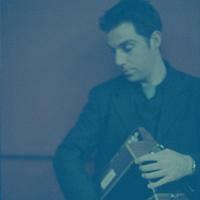 Luke Daniels is a BBC award winning button accordionist who began his career in 1992 by winning the BBC Young Tradition Award. His solo debut album received a nomination for best folk album from BBC Radio 2. Subsequently he’s worked with Riverdance, De Dannan, and performed at The London Jazz Festival with his own folk fusion group ‘Histories Rhyme’, The Hammersmith Apollo with Riverdance and The Royal Festival Hall with his classical ensemble. In view of his busy touring schedule with Riverdance, De Dannan and the London Philharmonic among others, it’s hard to imagine how accordionist Luke Daniels manages to find any time for recording- which might explain why his new CD features four lineups captured in four different locations. A high –octane kick-off featuring fiddler Cathal Hayden and guitarist Arty Glynn contrasts intriguingly with an identical instrumental grouping ( this time with fiddler Teresa Connolly and guitarist Ian Carr) but a far more restrained approach; after that, we get a trio of polished, intricately arranged tracks from a full jazz band complete with clarinet, guitar, piano, double bass and drums. But for sheer listening pleasure it’s hard to beat the final three numbers, on which Daniels duets with guitarist Dean Magraw- notably on Magraw’s original ‘Raven’. Luke Daniels has chosen in this recording to explore musical bridges in and around one of the greatest sonic bridge builders in Irish music history – the 17th and 18th century harper Carolan. In so doing he has taken turnings off the main roads of the tradition down forgotten paths, and presents these for us through a fertile musical imagination. A voice is being worked out and worked through in this recording. Who knows what seeds will be borne on the wind of his creativity.